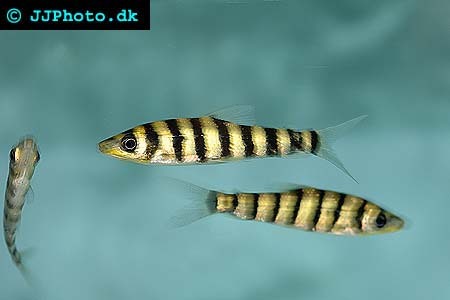 Company: Leporinus fasciatus (Leporinus) is suitable for community aquariums with other larger species. Do not keep with long finned species. 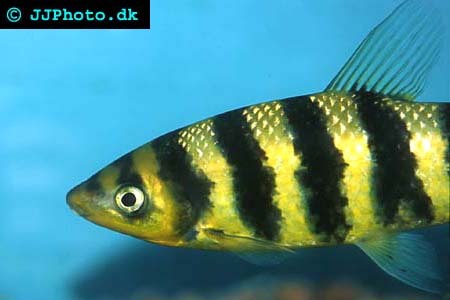 Aquarium setup: Leporinus fasciatus (Leporinus) should be kept in large aquariums that are decorated with a lot of hiding places among bogwood. The aquarium has to well covered since they are very good jumpers. Do not keep them in planted aquariums since they will eat the plants. Feeding: Leporinus fasciatus (Leporinus) should be feed a vegetable diet. Breeding: We have no information about any successful Leporinus fasciatus (Leporinus) spawnings.